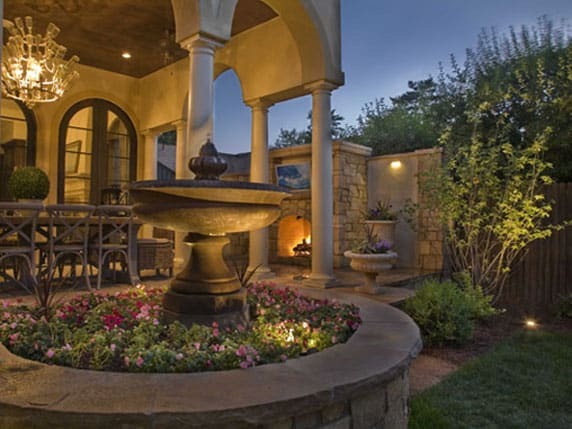 Lighting is an integral part of your Denver outdoor living design. In addition to utilitarian reasons, like safety and the ability to see the people you are spending time with, lighting creates a magical ambiance. Plus, you can use specialty lighting to highlight your landscape design features, or create multiple areas where people can sit or congregate into the late night hours. Interestingly enough, many of the design principles we use in our landscape designs are integrated into lighting designs such as layering, visual focal points and creating a theme. 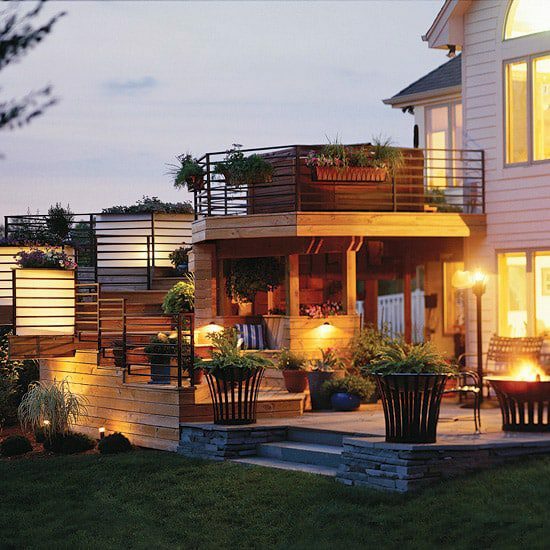 Here are some tips for implementing those ideas into your own outdoor lighting plan. Always make sure your lights are rated for outdoor use. Layer your lights. Just as we recommend creating different layers and textures with your living landscape, your outdoor lighting can be layered as well. By combining low lights, spot lights and lights specifically designed for water features, your yard will come alive at night. Consider using solar lights to illuminate pathways and plant beds. Spotlights highlight trees, shrubs and other special plants. Don’t forget the stairs. Take special precaution when illuminating stairways or uneven pathways. You can use solar lamps at the edges of the walkways. 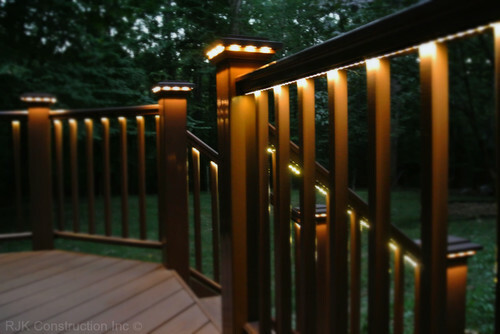 Or, if you’re in the process of planning your hardscape design, talk to us about incorporating the lights into your stairs for a streamlined look. You can also add lighting into your walls or columns, which serve as a safety features, but can also create a lovely, subdued glow. Overhead luminaries. This is where your garden magic really comes to life. There are so many creative options for overhead illumination. By adding these lights, you’ll be able to enjoy an ambient light source that provides a soft, gentle glow for late night conversations. A grid pattern can be used for a symmetrical and even light source. Lights can be strung between the structure of your home and surrounding trees, with no additional support system required. 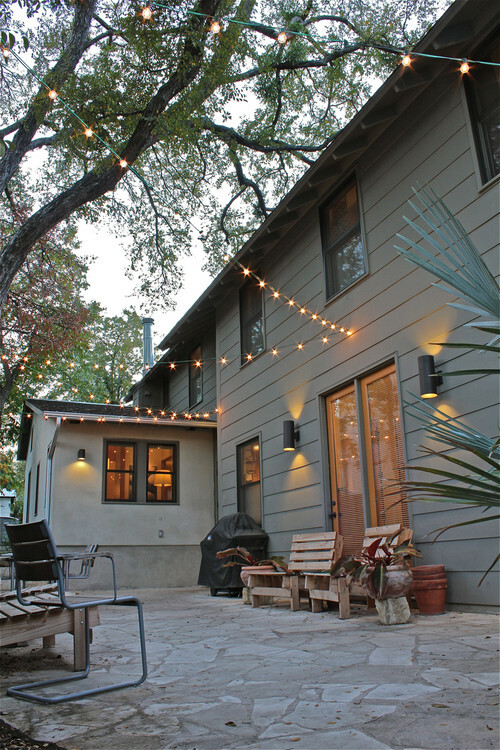 Twinkle lights are always a beautiful addition to your nighttime patio and backyard landscape. Contact our Lifescape design team to help light up your Denver outdoor living design.